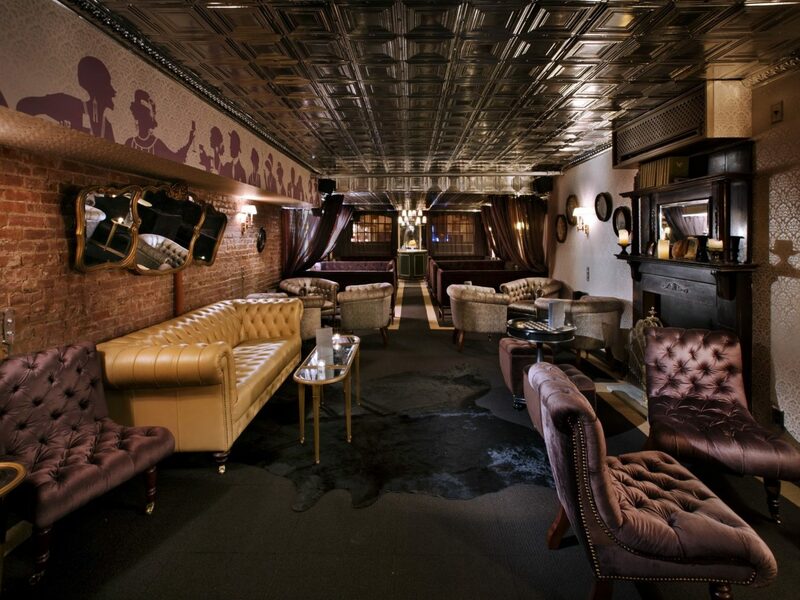 Want to go bar-hopping in New York without stepping foot in the subway or hailing a cab? 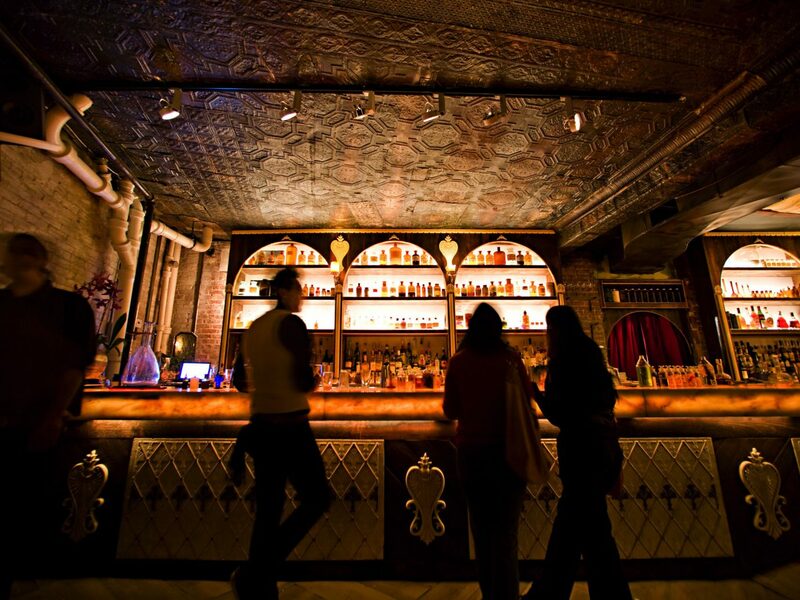 Do as New Yorkers (and Brooklynites) do and plan a night out in one of these cool neighborhoods, where there are so many great bars, you can stumble from one to the next. Cheers! Though its punk vibes have been toned down since the demise of the notorious club CBGB, the East Village is still a stronghold for nightlife in NYC. 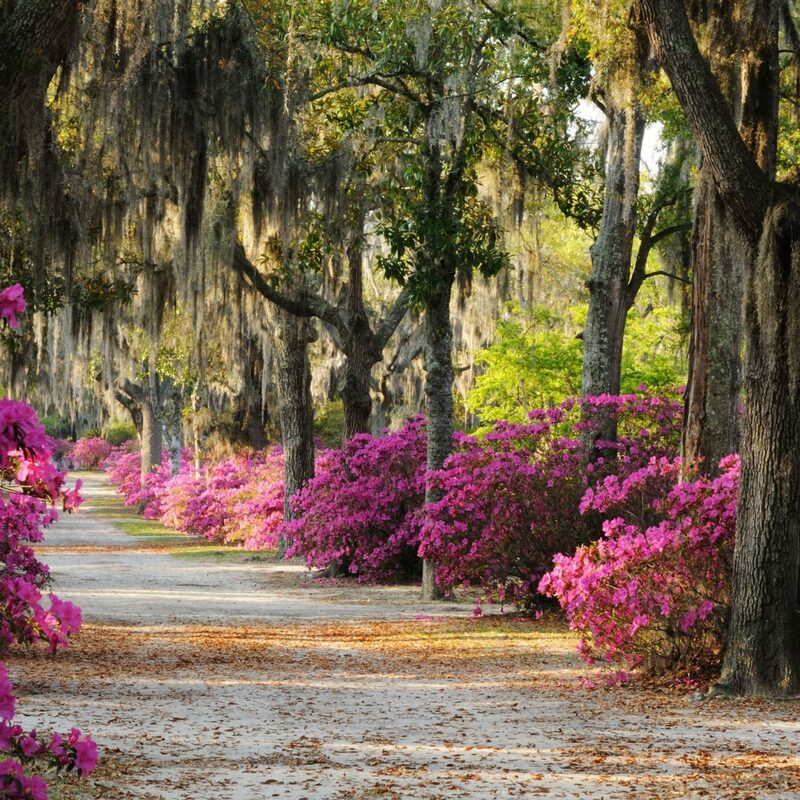 In fact, it’s one of those neighborhoods where you’ll likely see more people out and about after midnight than during daylight hours. 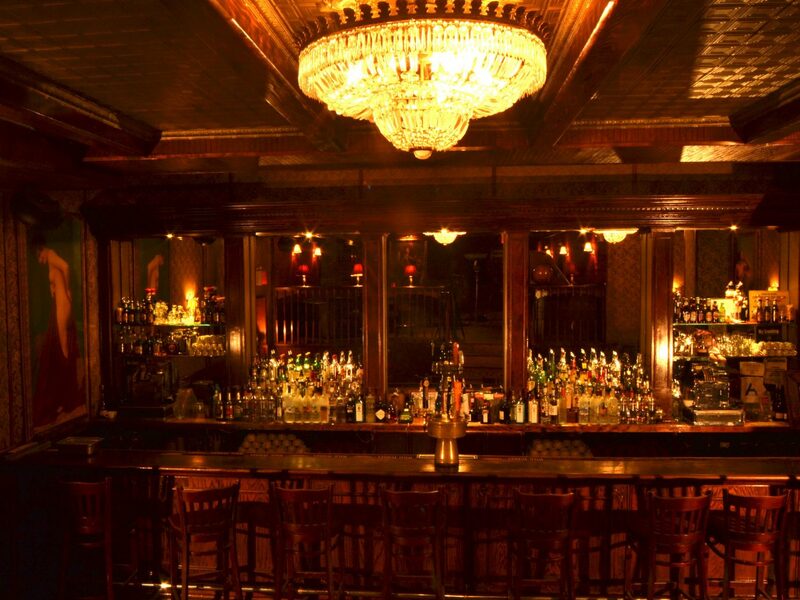 These days, you’ll find everything from dive bars like McSorley’s Old Ale House to upscale cocktail dens. 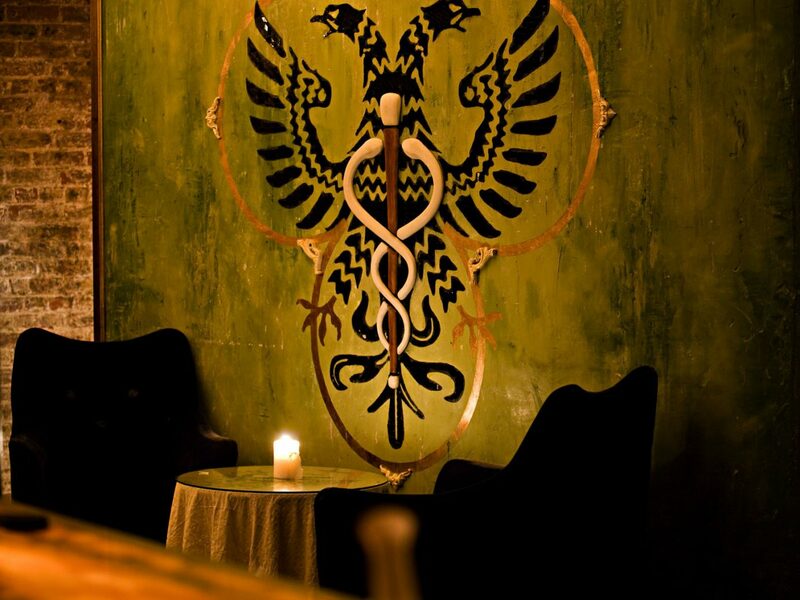 The best of the best is Death & Company, where the city’s most driven bartenders hone their craft. 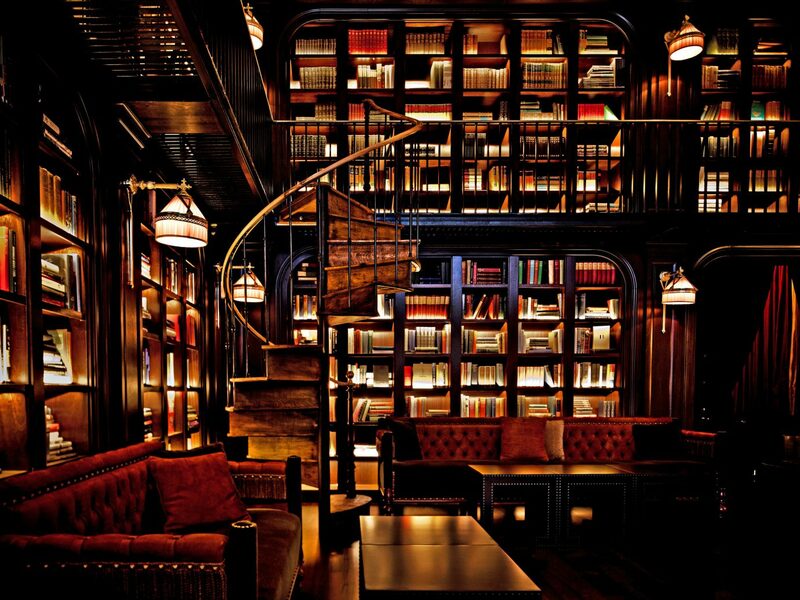 The menu—more of a book, really—may seem intimidating, but the staff can help guide you to a cocktail you’ll love. 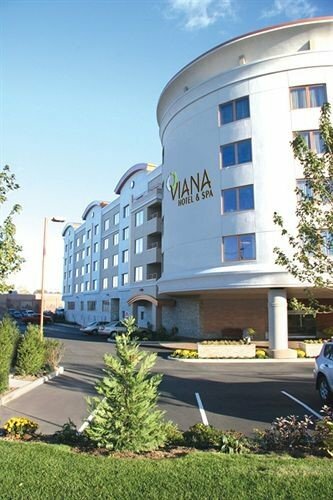 Ready to delve into the wide world of amari? Amor y Amargo specializes in the bittersweet liquors that originated in Italy and have taken the spirits world by storm. You'll be in good hands if partner/bartender Sother Teague is on shift; he has a near-encyclopedic knowledge of them. Search hard enough and you might be able to find some vestiges of the beatnik vibe that reigned here in Bob Dylan’s day. Dante, which opened in 1915 on MacDougal Street (also home to Dylan hangouts Cafe Wha? 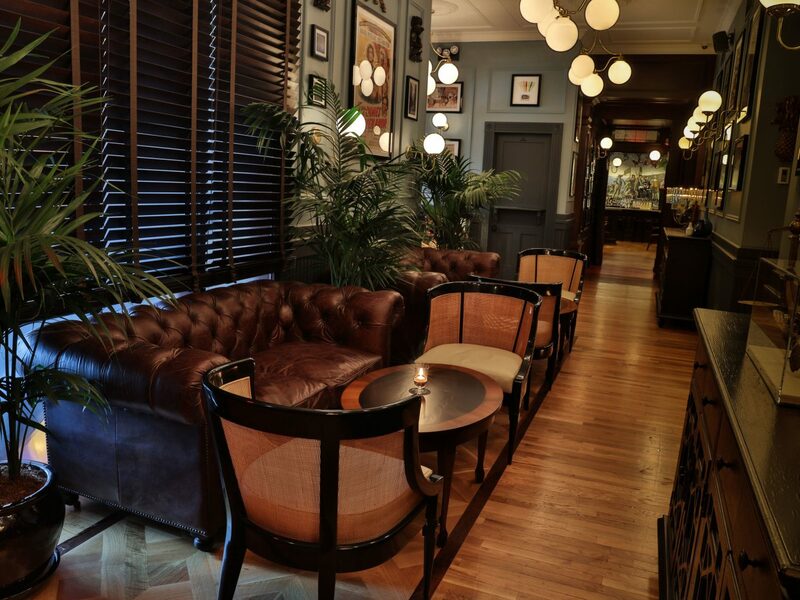 and Caffe Reggio), is an old-school haunt updated for today’s tastes. 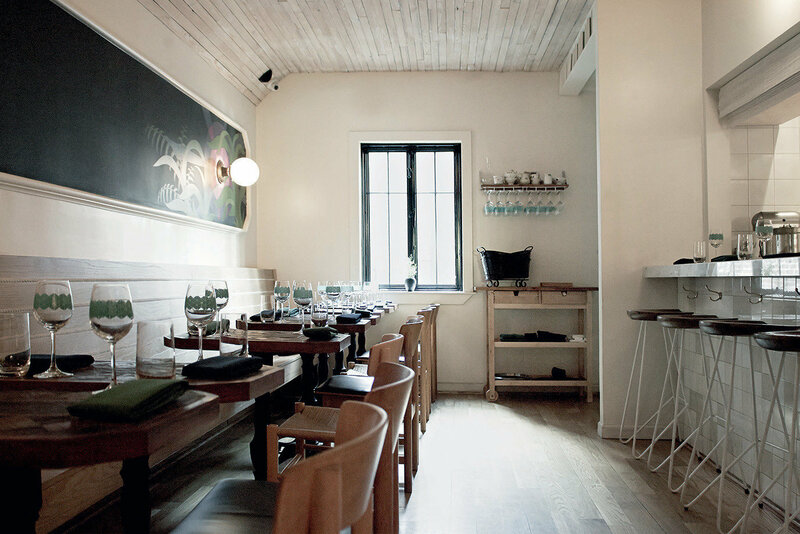 True to its Italian roots, it serves Aperol Spritzes on tap and 12 Negroni variations alongside flatbreads and pasta. 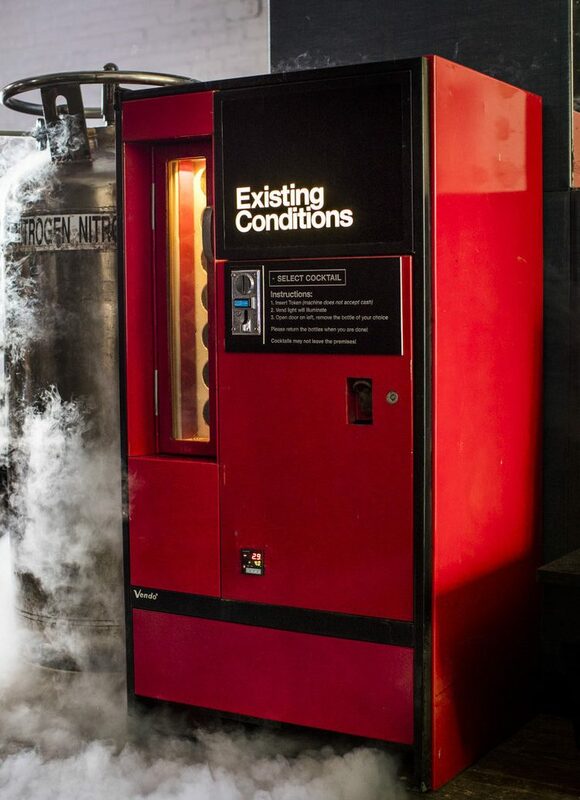 For a more cutting-edge experience, head to Existing Conditions, where a crack team of industry vets is making deceptively simple seeming cocktails using high tech equipment behind the scenes. Plus, it has the city’s only cocktail vending machine, which dispenses bottled manhattans, martinis, and popcorn-infused rum and cokes. 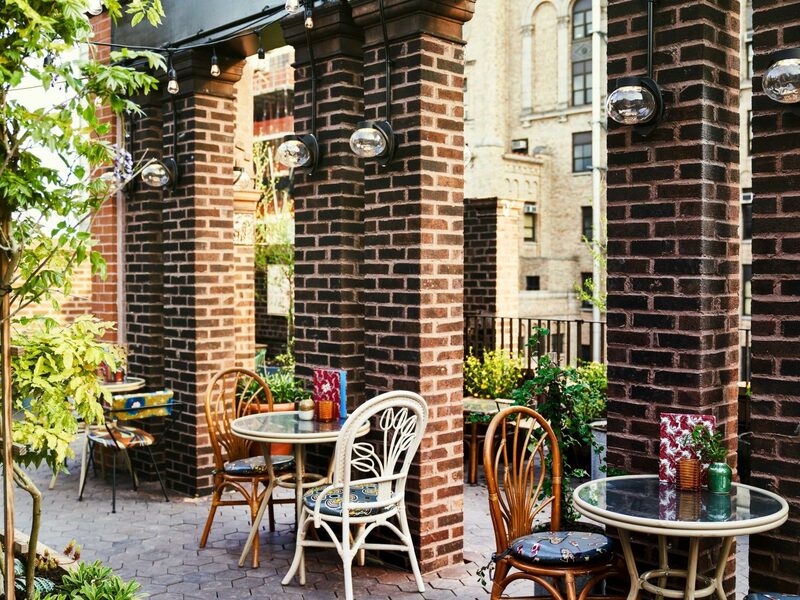 For a small neighborhood, the West Village punches above its weight. 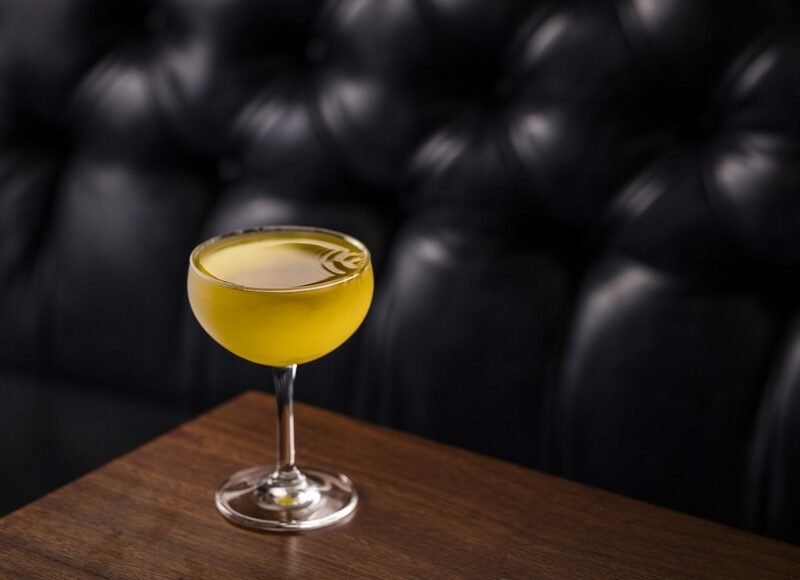 Fans of classic cocktails should make a beeline for Little Branch, one of the speakeasies opened by the legendary late bartender Sasha Petraske. 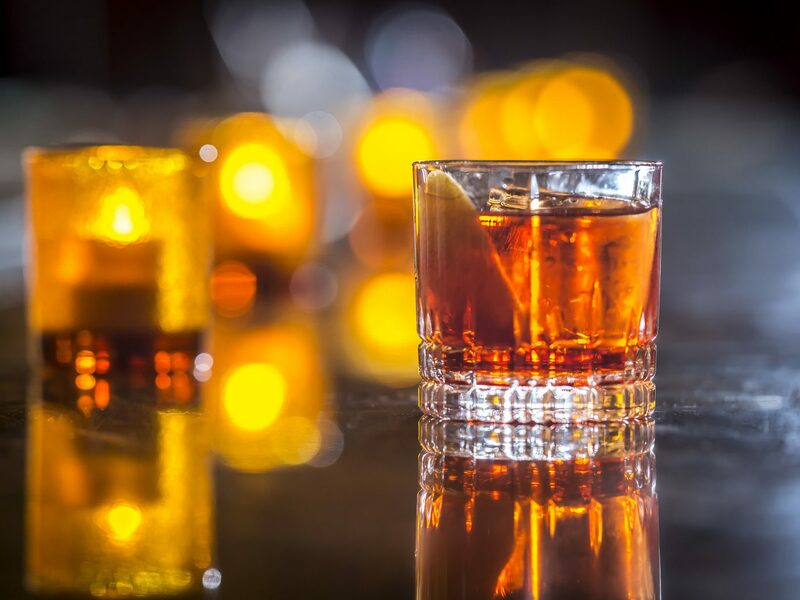 The unmarked basement bar has no written menu, but the bartenders have an incredible repertoire of classic recipes at their fingertips. 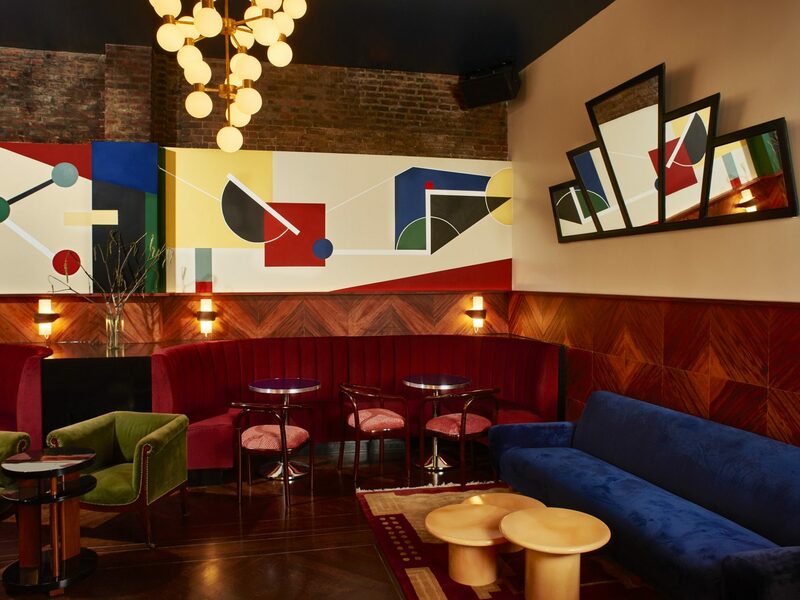 A few blocks away, you’ll find Employees Only—lauded as one of the world’s best bars—which serves creative takes on the classics in a gorgeous Art Deco-inspired space hidden behind what appears to be a psychic’s shop. 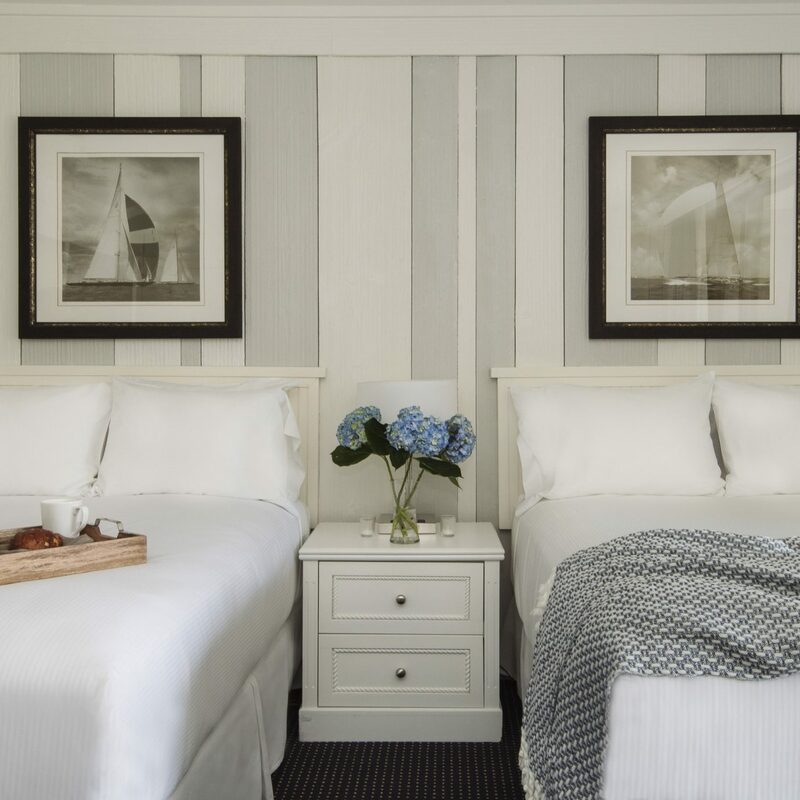 This formerly staid ‘hood has undergone a bit of a renaissance, with glam new hotels like the Beekman, a Thompson Hotel (we love the plush lobby lounge presided over by a portrait of Edgar Allan Poe) and new watering holes. 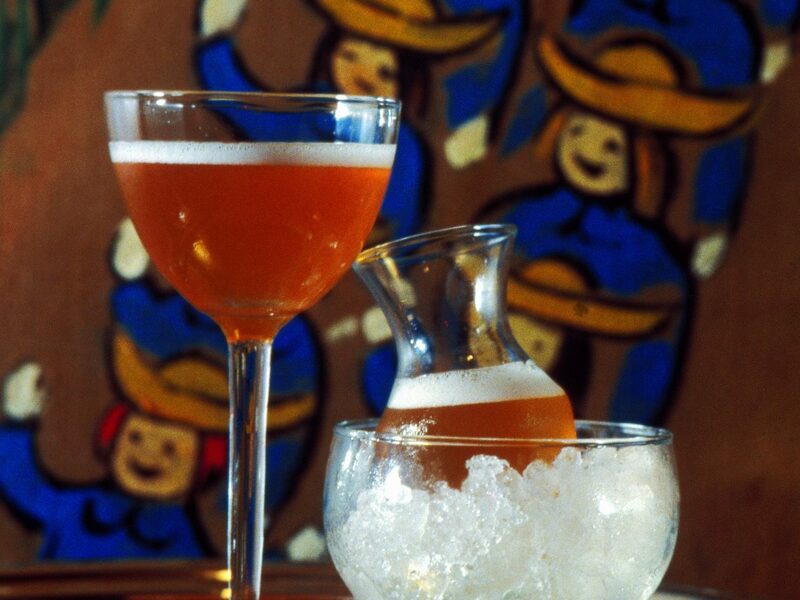 Don’t miss BlackTail, a Cuban-inspired bar by the award-winning team behind the Dead Rabbit. 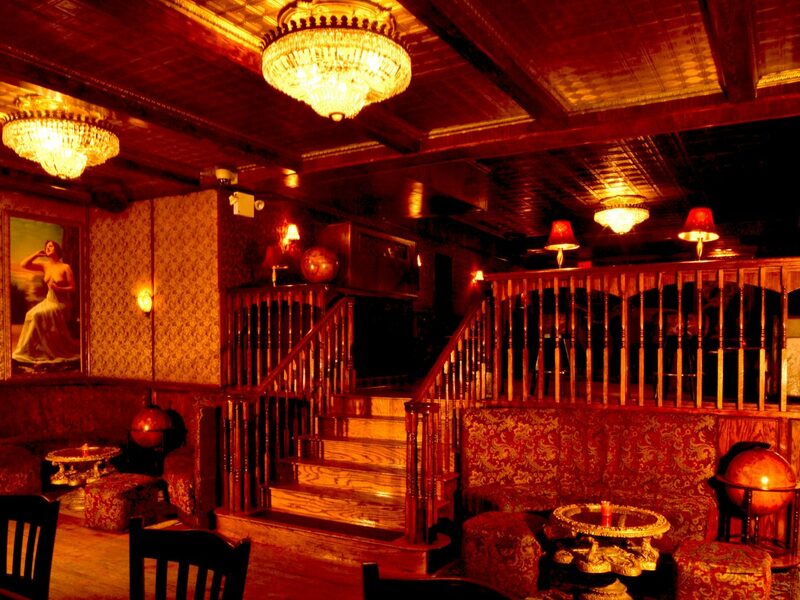 This is the place to go for delicious rum cocktails and throwback Cuban vibes. 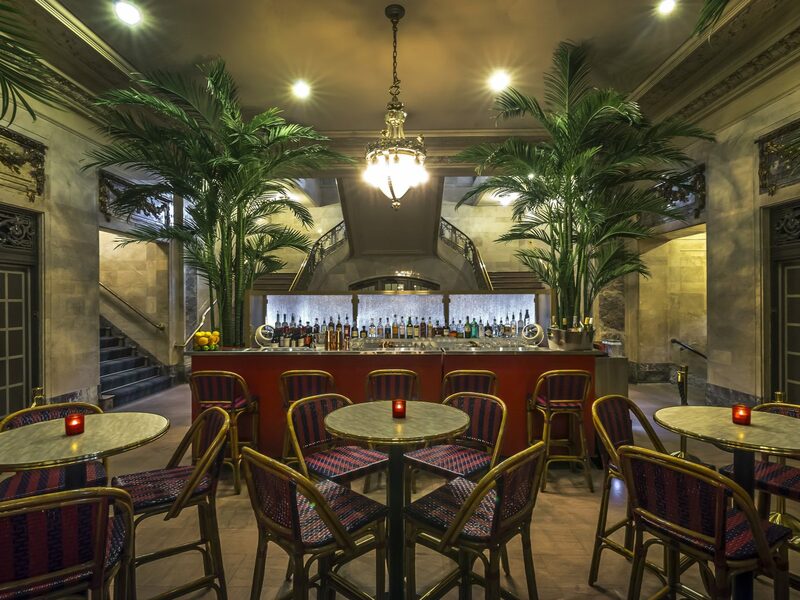 Just north of the Financial District, this quiet, leafy neighborhood is home to the buzzy new bar in the Frederick Hotel called Primo’s—an Art Deco-meets-70s Italian style spot specializing in Martinis. Whether you prefer yours with gin or vodka, dirty or with a twist, you’ll find your favorite variation here. 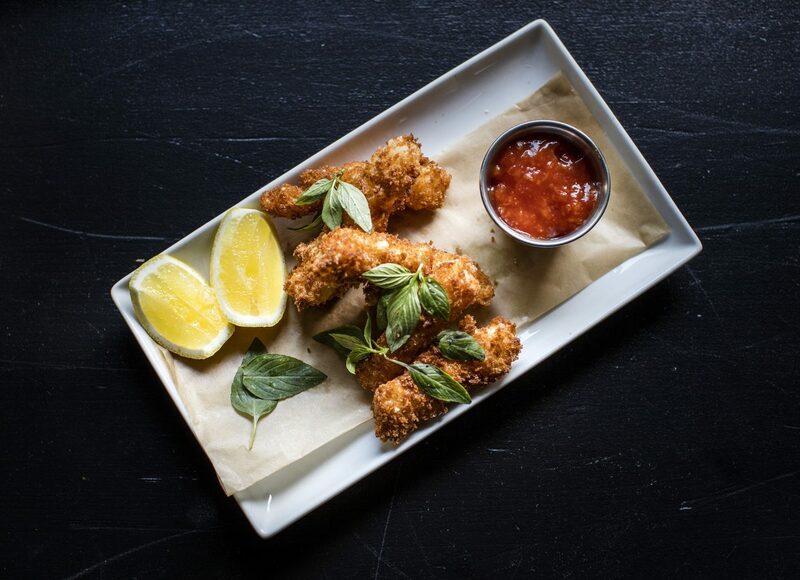 You could easily go from there to Smith & Mills, a cozy spot in an old carriage house that easily transitions from happy hour to dinner. 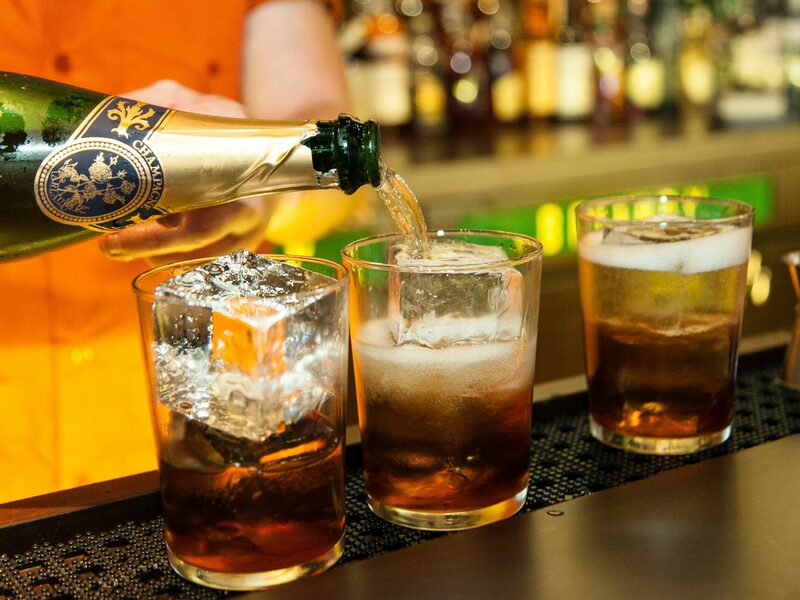 Tucked away amid the myriad dim sum restaurants and dumpling houses, a couple of exceptional cocktail bars await. 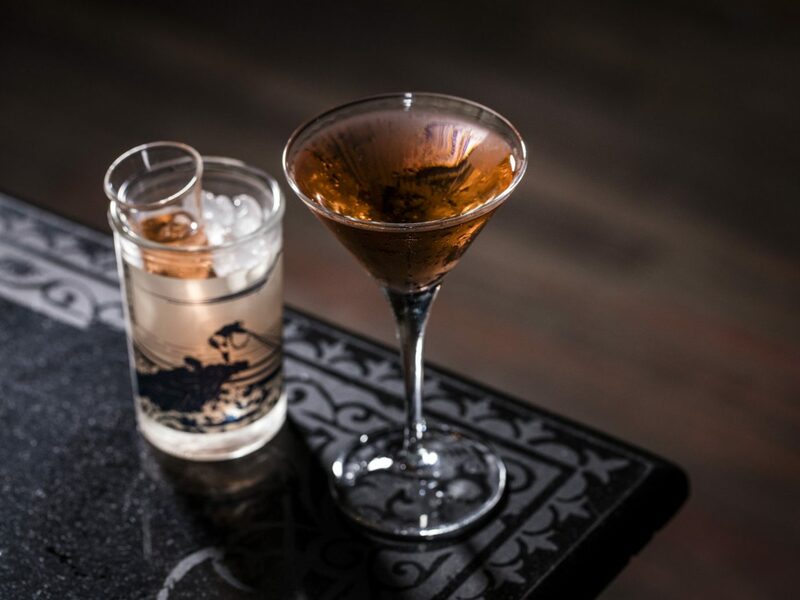 On Doyers Street, where the real gangs of New York ran rampant in the early 1900s, Apotheke serves boozy elixirs made with exotic herbs and spices found in the neighborhood’s Chinese shops in a space reminiscent of an old-world apothecary. 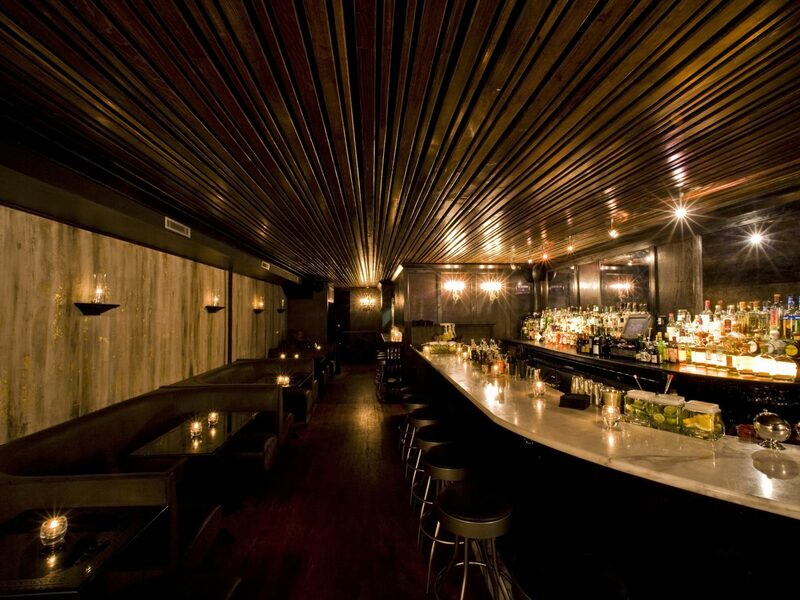 A few blocks away, Attaboy is a pilgrimage site for serious cocktail lovers and a favorite of industry insiders, who flock here for a nightcap at the end of their shift. 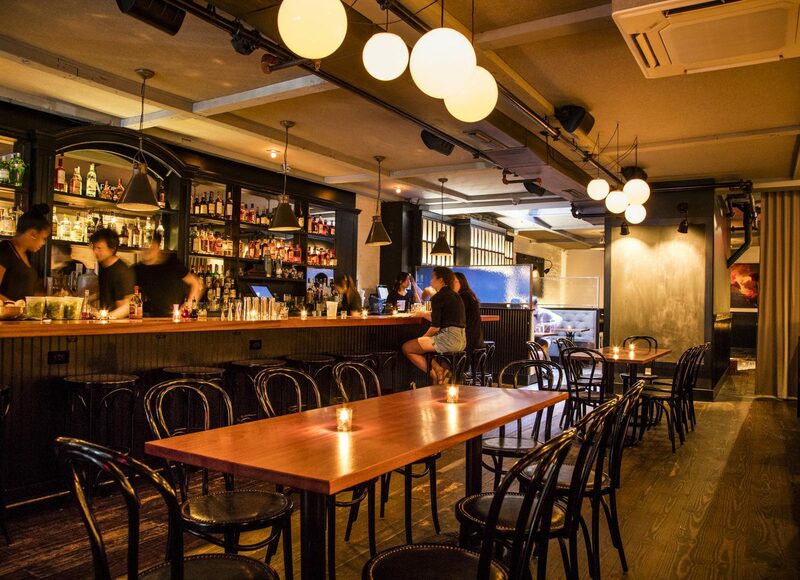 Founded by Sam Ross and Michael McIlroy, two of Petraske’s protégés, it resides in Milk & Honey’s original, dimly-lit space. Once a stronghold of Jewish immigrants (whose traces you can still find at classic spots like Katz’s Deli and Russ & Daughters) and gangsters (some of whom were Jewish immigrants), the Lower East Side is now home to some of the city’s trendiest bars, restaurants, and hotels. 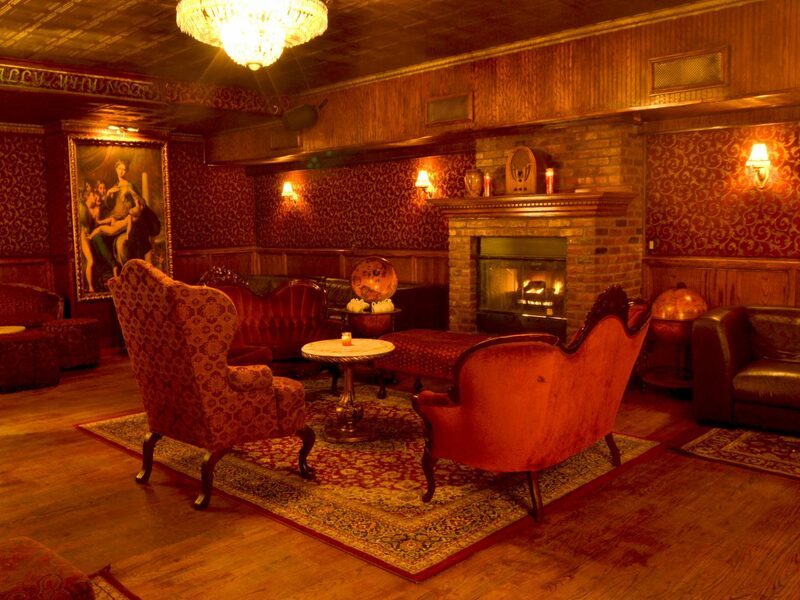 To experience New York’s Prohibition-era past, a trip to The Back Room is probably the closest you can get without a time machine. Hidden down a back alley, it’s one of the few unmarked bars that actually was a speakeasy frequented by gangsters like Meyer Lansky and Lucky Luciano. 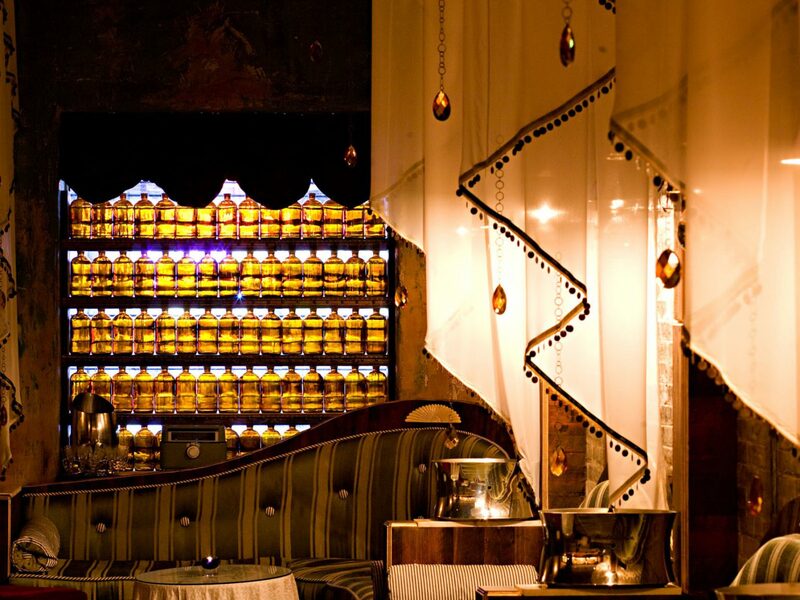 It's hard to say what we love most: the opulent 1920s inspired design, cocktails still served in teacups (just like they were during Prohibition), or live jazz on Monday nights. 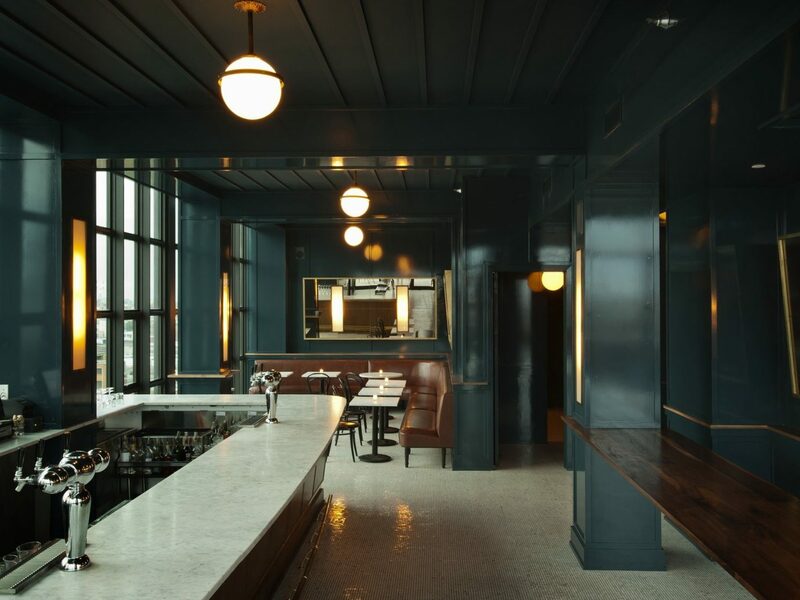 For a more intimate experience, make a reservation at Banzarbar, a new Arctic-inspired, 20-seat watering hole hidden upstairs in Freemans Restaurant. 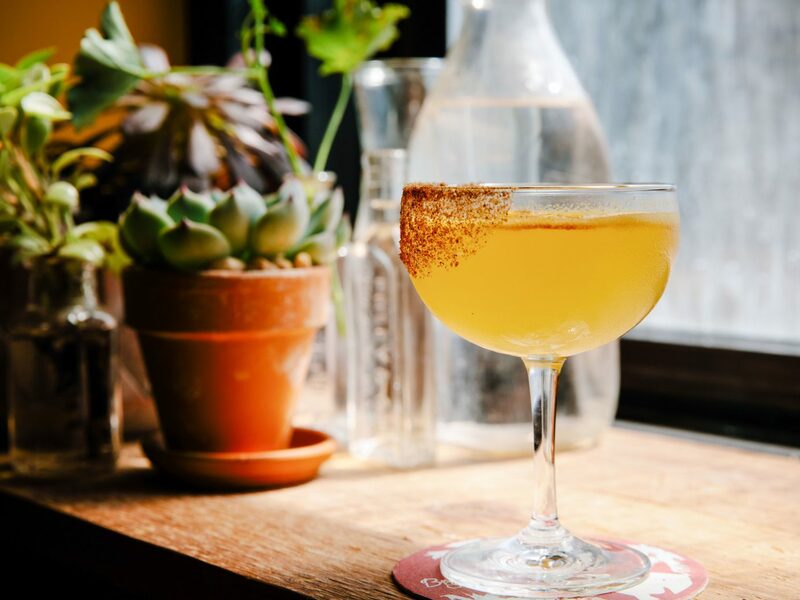 This west-side neighborhood may be known for its art galleries, but there are plenty of places to get a great drink. 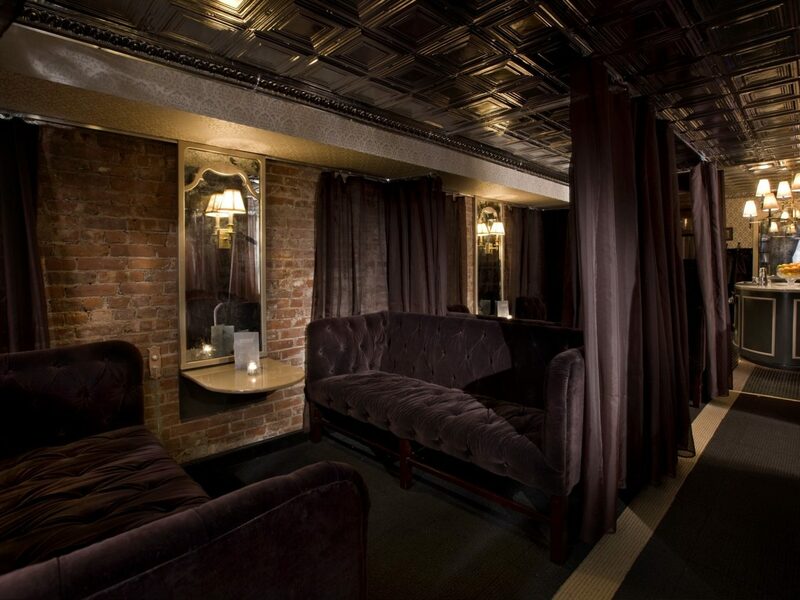 It would be hard to find a more romantic date night spot than the Raines Law Room, an unmarked bar that feels like walking into a Victorian parlor complete with plush sofas arranged in little nooks and buttons to push when you want to request table service. 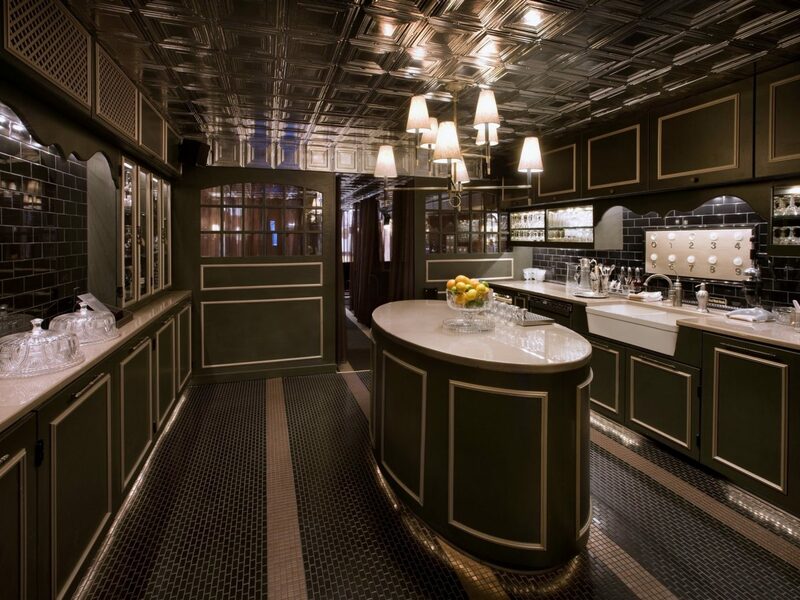 Then there’s the 18th Room, a new speakeasy-inspired bar with a bespoke cocktail concierge service and sustainable cocktails by international bartender Joseph Boroski. 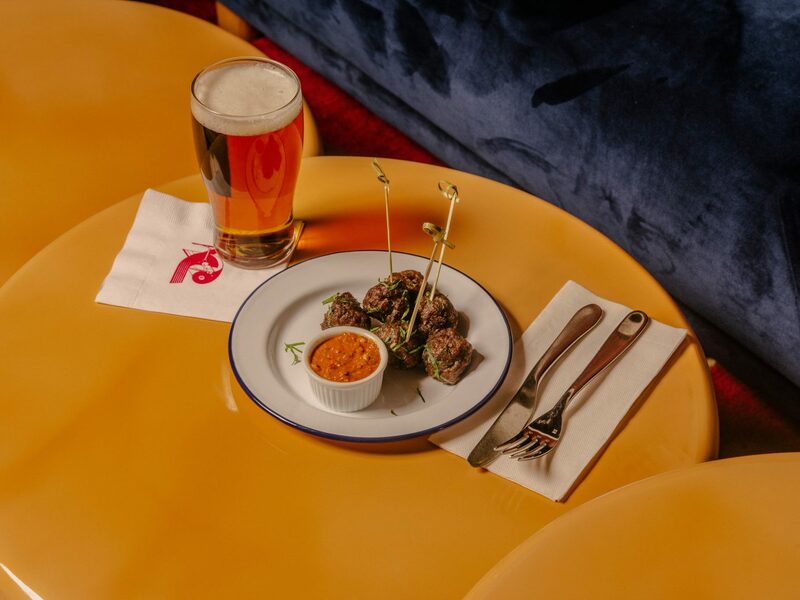 In the last few years, NoMad has gone from a no man’s land to one of New York’s hottest ‘hoods where it seems like a new bar or restaurant opens every week. 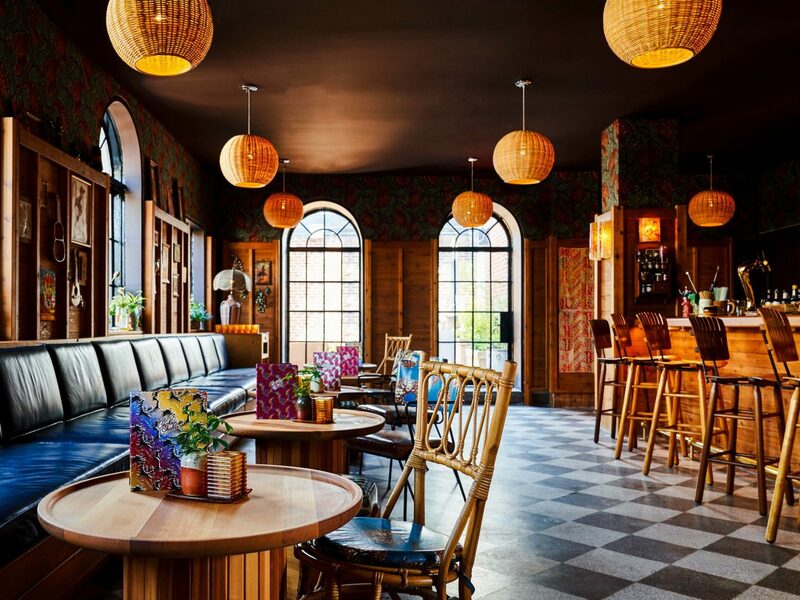 The Ace Hotel and the chic NoMad Hotel were largely responsible for ushering in this changing tide, and both have bars worth going to. 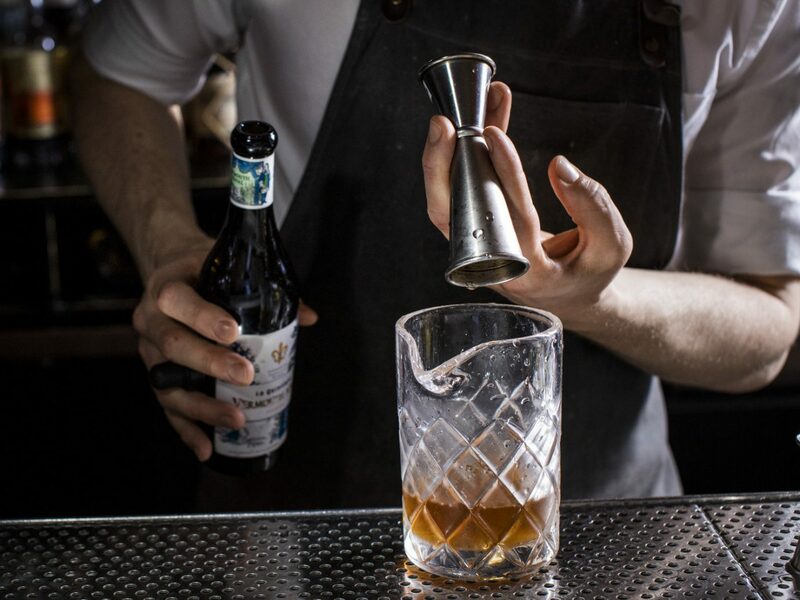 The John Dory Oyster Bar in the former is a popular spot for bivalves and cocktails, while the NoMad Bar—run by the team behind Eleven Madison Park—serves a killer cocktail list and one of the city’s best burgers. Patent Pending is more of a newcomer on the scene. It’s hidden behind Patent Coffee, inside the former home and laboratory of Nikola Tesla, to whom the design and drinks pay homage. As NoMad becomes more and more saturated, development creeps further east into the Flatiron District. 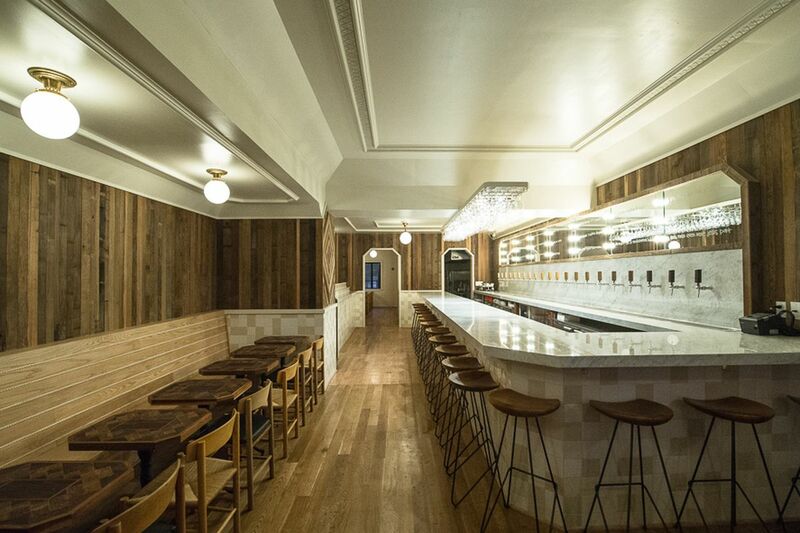 The most exciting new opening in the neighborhood is the Freehand New York, which contains not one but two excellent bars. 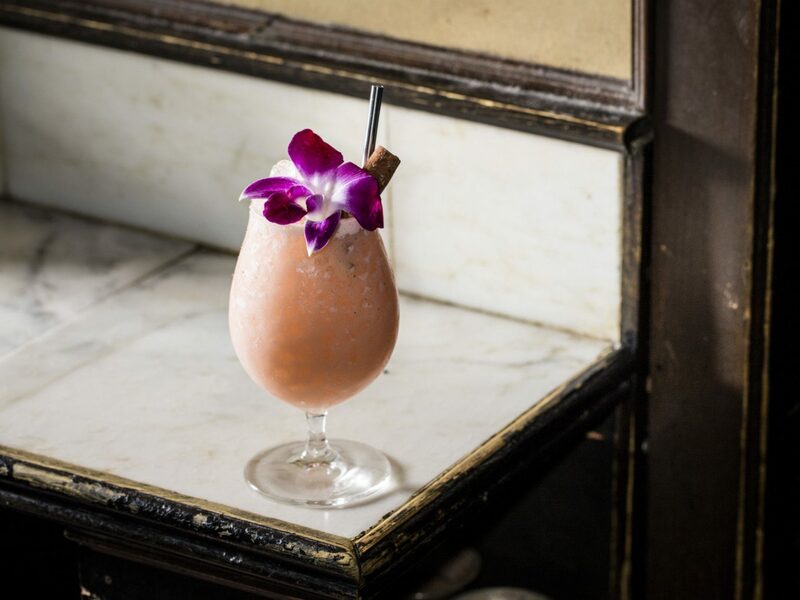 The Broken Shaker—an outpost of the ground-breaking bar by Gabe Orta and Elad Zvi that put Miami’s cocktail scene on the map—has been drawing crowds since it opened on the hotel’s rooftop. 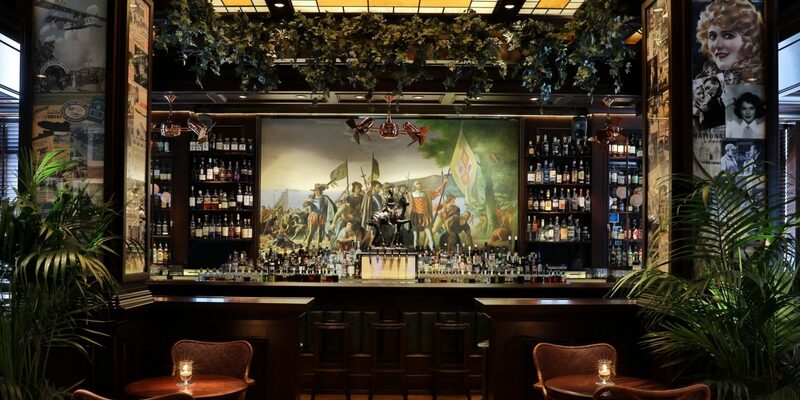 If the line is too long there, go downstairs to the George Washington Bar, where a portrait of the bar’s namesake is displayed in the intimate space. 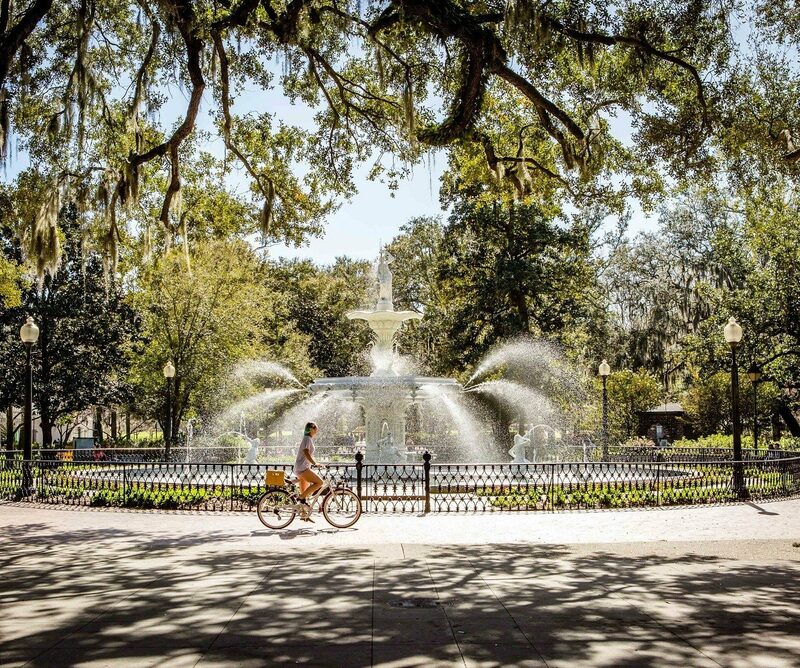 While you're in the area, we wouldn’t blame you for heading down toward Union Square afterward for a beer or a shot at the historic Old Town Bar. 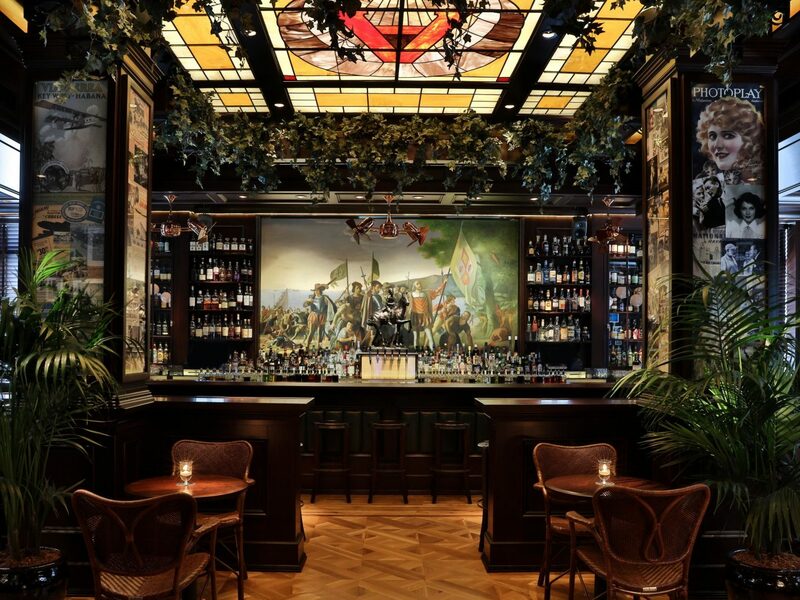 Though Midtown is full of Irish pubs and dive bars that cater to the after-work crowd spilling out from the neighborhood’s high-rises, there are a handful of top-notch cocktail bars worth seeking out. 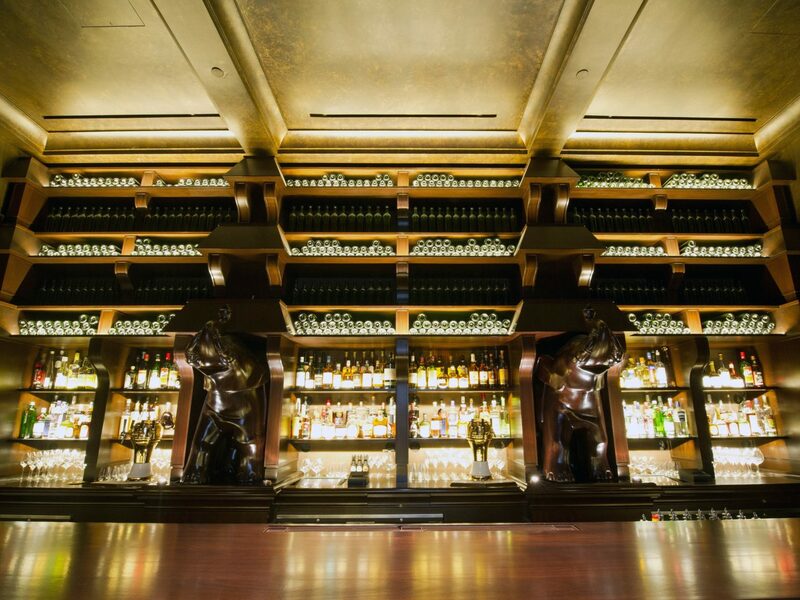 One of the most beautiful and unique bars in the whole city happens to be hidden away in the basement of Grand Central Terminal. The Campbell—originally the office of Gilded Age tycoon John W. Campbell—still has original stained-glass windows, painted ceilings, and a massive fireplace. 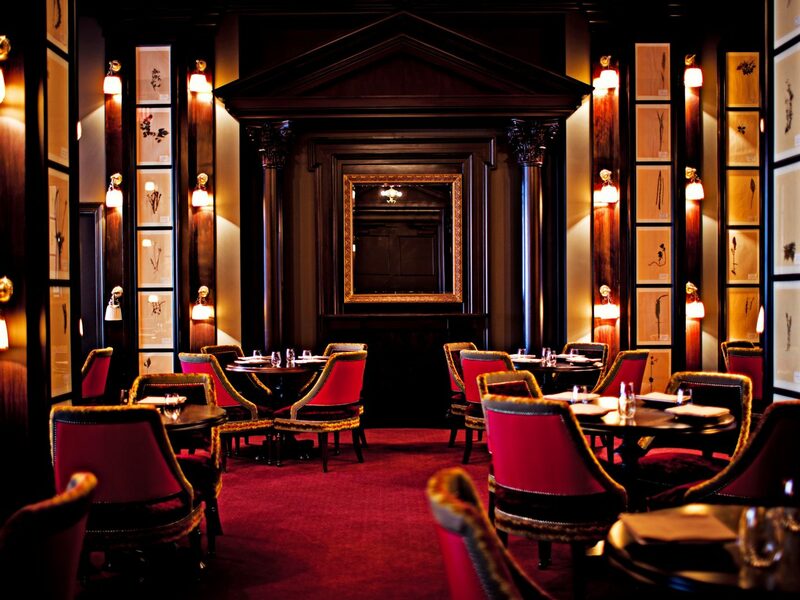 A bit farther north, the King Cole Bar in the St. Regis New York is still one of the Big Apple’s best old-school hotel bars, famous for inventing the Bloody Mary. 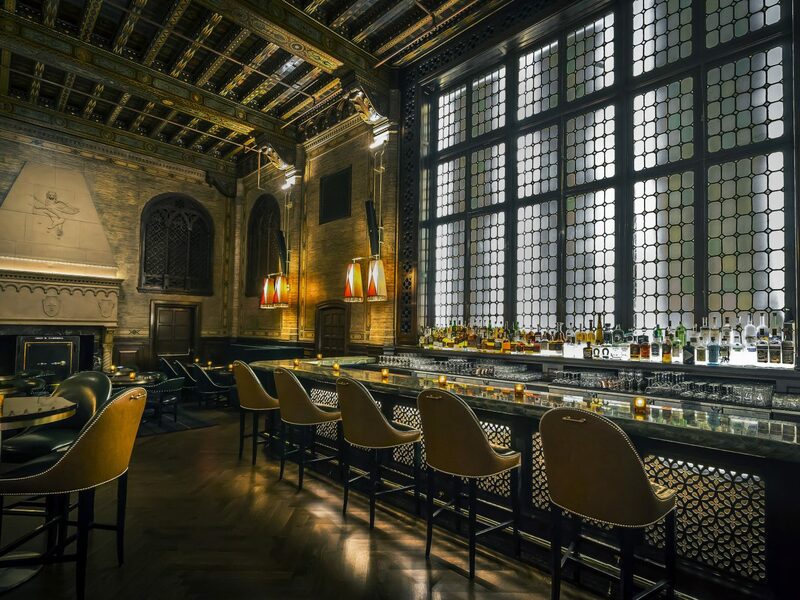 Just last year, the landmarked Philip Johnson space in the Seagram Building (formerly the Four Seasons) debuted three restaurants and the Pool Lounge, which overlooks Johnson’s original dining room with a pool in the center. The Cucumber cocktail with absinthe, lime, and cane sugar is one of the prettiest (and most delicious) cocktails in the city. 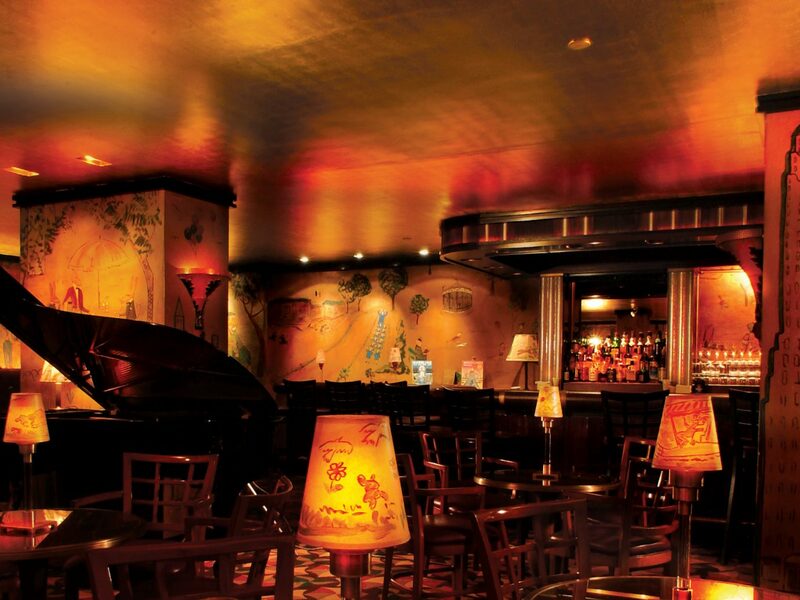 Speaking of classic New York hotel bars, the king of them all is Bemelman’s Bar inside the Carlyle, a Rosewood Hotel on Madison Avenue. 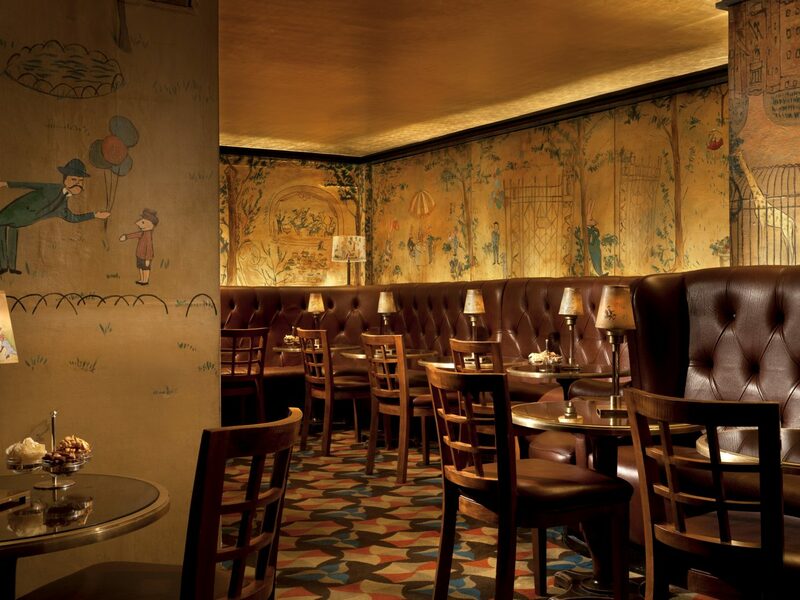 Ludwig Bemelmans (author of the Madeline children’s books) painted the bar’s whimsical murals in exchange for room and board in the hotel. 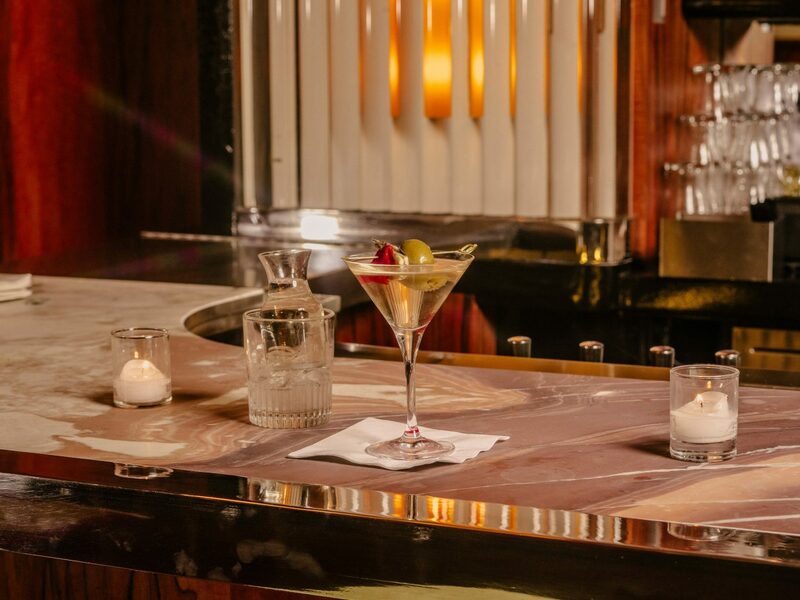 On any given night, you’ll find a cross-section of New York society seated on leather booths, sipping Martinis and listening to live piano music. 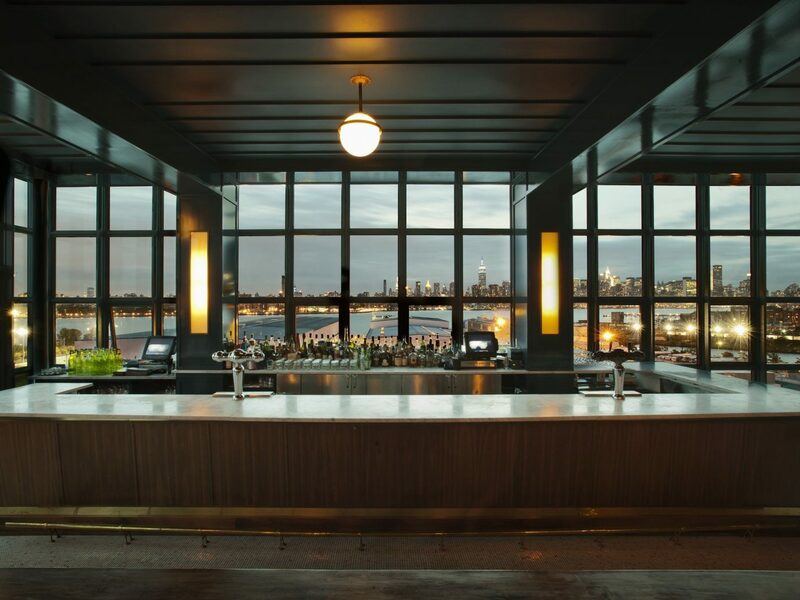 It’s no doubt that some of the coolest neighborhoods in New York lie across the East River in Brooklyn, and when it comes to nightlife, it’s hard to beat Williamsburg. From north to south, it’s got dive bars, massive nightclubs that draw in big-name DJs, and everything in between. 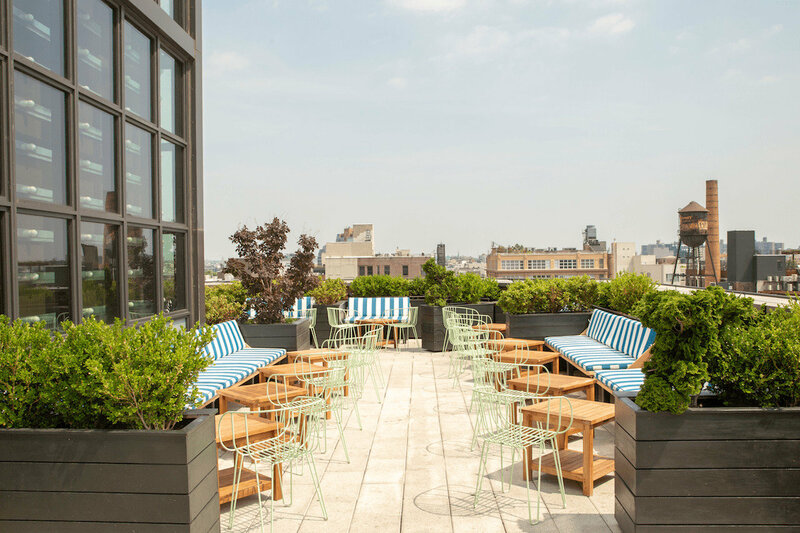 A few standouts include long-standing neighborhood haunt Hotel Delmano, which isn’t a hotel at all but a drinking den inspired by weathered New Orleans bars; Maison Premiere, which has a full raw bar, a selection of absinthe cocktails, and a charming garden; and the Ides Bar at the Wythe Hotel, which boasts stunning views of Manhattan’s skyline. Though Greenpoint might be most known as the setting for HBO show Girls, its denizens know it’s a hidden gem with a wealth of great bars and restaurants. 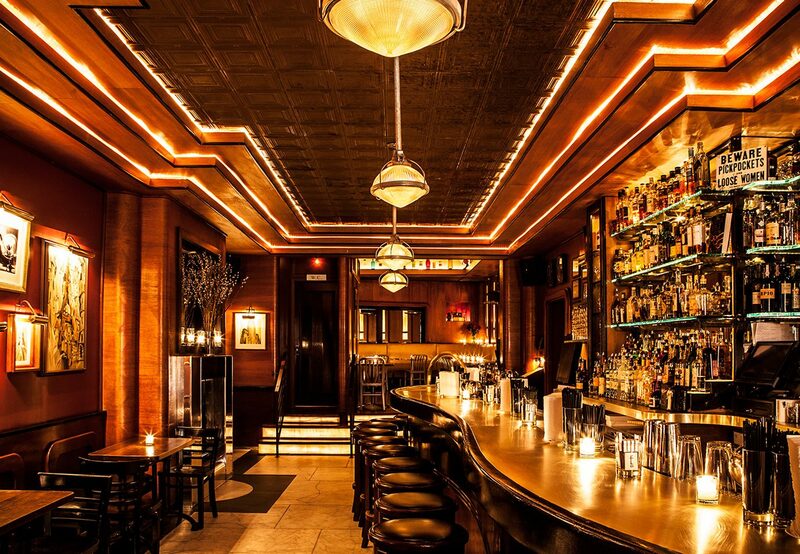 On Nassau Avenue, you’ll find two of the neighborhood's best bars. Goldie’s channels a ‘70s Vegas coke den, with gold glitter-topped tables, red leather booths, and paintings of jungle animals and dead celebrities. You might not expect that to mean great drinks, but Goldie’s has a solid selection of craft beers and a couple of frozen cocktails served out of slushie machines. (Also, gold fish crackers are available for free upon request.) Down the street, Diamond Lil is a smaller, more intimate bar with a list of excellent cocktails at very reasonable prices. 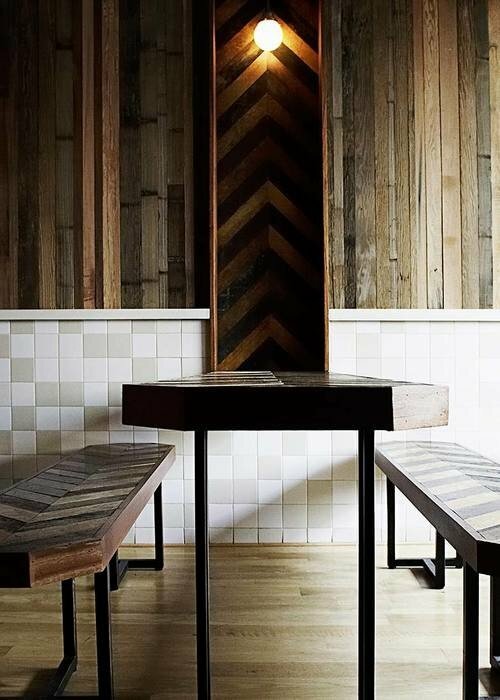 For craft beer, there’s no place better than Tørst, which features a Scandinavian-inspired design and a rotating selection of brews on tap. Locals sometimes end the night at the Capri Social Club, a Polish dive bar with a juke box, cheap beer, and dollar jello shots, where the Deuce was filmed.